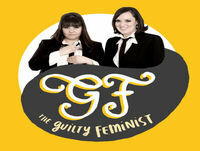 Join comedians Sofie Hagen, Deborah Frances-White and a special guest as they discuss topics “all 21st century feminists agree know” while confessing their insecurities, hypocrisies and fears that underlie their lofty principles. Sofie Hagen is a London-based, Danish stand up comedian who won the 2015 Fosters’ Best Newcomer at The Edinburgh Festival and the 2014 Chortle Best Newcomer. She is also known for her podcast Comedians Telling Stuff and her hit show Bubblewrap. Deborah Frances-White is the 2016 Writers' Guild Award Winner for Best Radio Comedy for her hit BBC Radio 4 series Deborah Frances-White Rolls the Dice. She is an Edinburgh Fringe regular, is currently on tour with her live show and will be recording her second Radio 4 series later this year.